1) Cryptocollectibles (or decentralized digital collectibles) will allow game developers to import parts of the user base from other games. A team that is developing an MMO (Massively multiplayer online game) could for example integrate CryptoKitties as in-game pets (like in World of Warcraft) without asking for permission. People owning crypto kitties would therefore be more incentivized to play this new MMO. 1.1) This integration might be a 3D rendered implementation of cats, but could likewise be something else, like little imps, and would just use the same distribution of traits the kitties have. In this case people might own cryptocollectibles that actually have multiple forms of appearance. 2) More parasitic ways of integration are also imaginable. Maybe this MMO allows you to sacrifice (proof-of-burn) ten cloudwhite crypto kitties to summon a grim demon, this demon being another cryptocollectible with a different underlying smart contract. Or you have the super-synergetic-parasitic options to sacrifice one Dracula kittie, one LORDKEK Pepe, one Crystal Dragon, one Woodcoin’s Guardian, one Alien Crypto Punk and one event-listeners.saver to craft an epic glittering, golden unicorn-spaceship. 2.1) The biggest games could therefore distort the incentive mechanisms of smaller games. If the grim demon becomes very popular, it could kill the fun of collecting cloudwhite kitties just for the sake of the kitties. 3) Sooner or later, Cryptocollectibles will interact heavily with VR and the game world that is the most fun, most beautiful and/or most interactive, therefore winning the largest player base, will generate massive value for all imported cryptocollectibles. 4) Celebrities will soon issue rare lifestyle cryptocollectibles to show off on your iPhone. The harbinger of this soon-to-be-trend is Julian Assange, who is already selling official WikiLeaks CryptoKitties, gifting „Trump’s Tender Tabby“ and „Clinton Console Kitty“ to Donald Trump and Hillary Clinton as part of a Christmas promotional campaign. 5) I: Relationality — The rarity of a given cryptocollectible stands in a non arbitrary relation to other cryptocollectibles rarities of its kind and forms a hierarchy of rarities. For example: common cryptocollectibles are less powerful in the game than the rare ones. 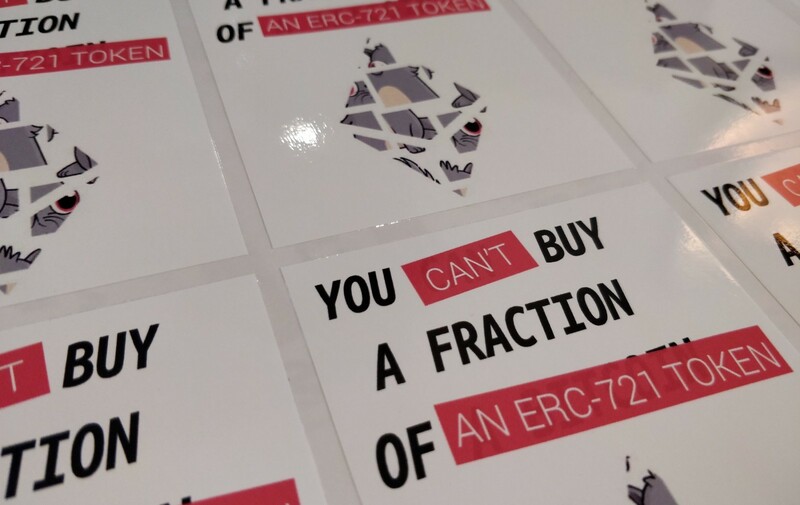 Or every cryptocollectible has properties (like color, size, whisker) and all these properties have a specified uniqueness following a certain distribution (as in CryptoKitties). 6) II: Embeddedness — The cryptocollectible is embedded into an environment like a virtual world or a popular (d)app, i.e. items in games or stickers in an app like Quidd. The environment is more than just an interface or wallet for the cryptocollectible, it should be fun/worthwhile in itself. 7) III: Activeness — Cryptocollectibles that let you do interesting things with them as an item/character/pet in a game (but also software on a local computer) are going to be more valuable than cryptocollectibles that don’t actually give you any new ways of interacting with a digital object (i.e. limited editions of jpegs, mp3s or mp4s). 8) IV: Accessibility — Cryptocollectibles that use the most widespread standards to be accessible by developers (Counterparty on the Bitcoin network, ERC721 on the Ethereum network) have the biggest chance of being adopted by multiple (d)apps, games, virtual worlds and exchanges. Please feel free to reach out to me with comments, ideas, counterarguments! Here or on Twitter @NiklasStockholm. With a 5% chance of crafting a rusty nail instead.